Bertha is one of the latest additions to the farm. 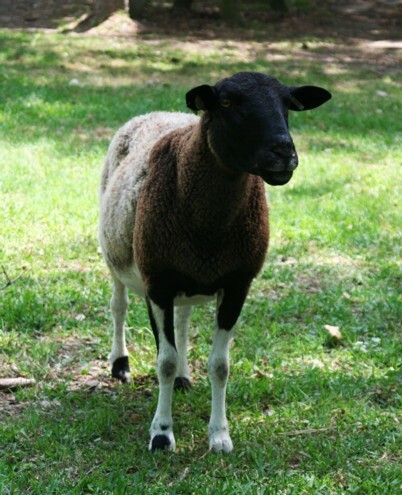 She is a nice ewe but has a loud mouth. Seriously. That's what the lady told me when I bought her. "She has a loud mouth. 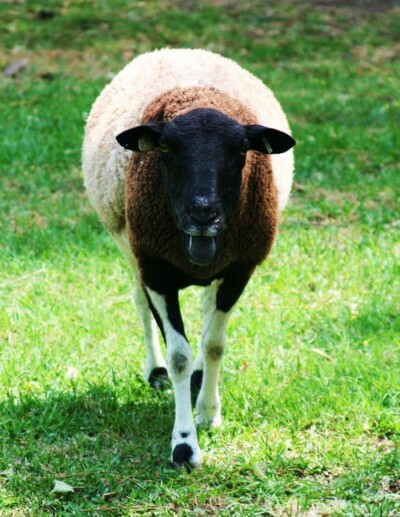 She will just stand in the pasture and holler for no particular reason. 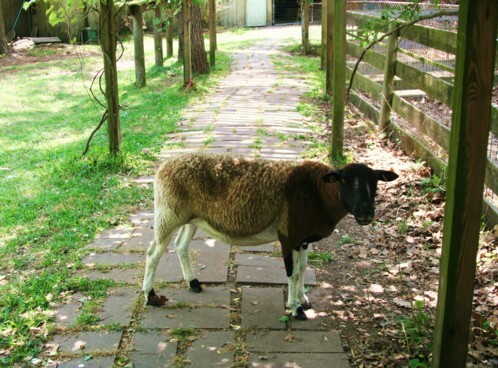 No lost lamb. Not hungry. Just screaming to hear herself scream." If her mouth is empty . . .
. . . she's screaming. Since I have another one just like that, I wasn't too concerned. So I brought her home and plunked her in the paddock with the weanlings, where she would fit right in. So what if she screams? Everyone in there is screaming. But yesterday . . . oh dear! Yesterday the weanlings and Bertha, were in the back yard and I was plinking away on the computer. I heard Bertha on the porch screaming. I checked her. She was fine. She was peeking through the dog nose smudges on the sliding glass door. Once she saw me, Bertha was convinced that this indeed, was the pickup window for the drive-thru restaurant and amped up her screaming. The Border Collie was beside herself. She is the self-appointed hall-monitor/taker-of-names-when-the-teacher's-out/crossing-guard kid who firmly believes that it is her duty to make this farm run as tight as a battleship, and sheep begging at the back door did NOT float. I ignored Bertha and went back to typing. The Border Collie settled down under the table. And that's when I heard it . . . the unmistakable sound of someone trying to break in the house! YES! I KNOW! Can you believe it??!! 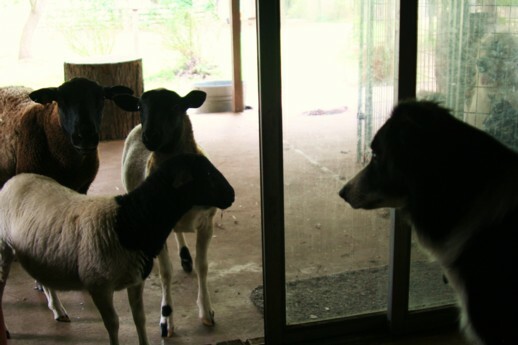 That stupid ewe was banging the glass on the back door. I couldn't get out of my chair fast enough. It clattered back as I catapulted across the room. Border Collie led the way. 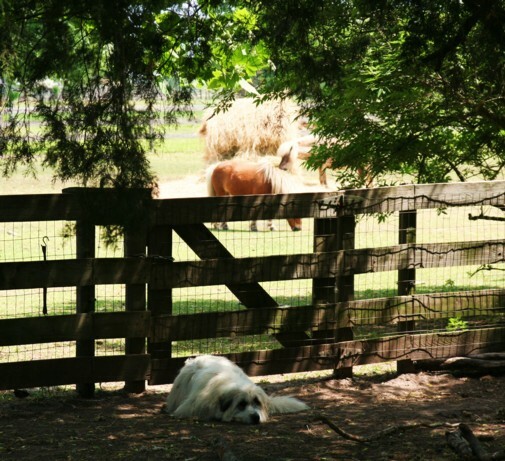 Fortunately before either of us could get there, my Livestock Guardian Dog took care of the problem. Believe it or not, this creature can move very quickly. 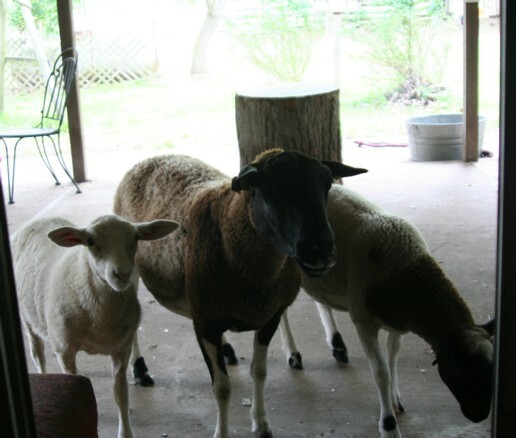 Lambs were gathering on the porch to see what Bertha had found. It was definitely time for some Border Collie intervention. I gave the word, and she moved them off the porch as Bertha was placing her order in the drive-thru window. "I'll have some alfalfa. I said, ALFALFA. Hey! Is this thing working? I said 'I'll have some alfalfa. Hold the fries." Hey, looks like my Painted Desert sheep Larry! He's LOUD too. It's such a shame, cuz he's pretty. Really pretty, like yours. But LOUD. He just hollers and hollers. Just to hear himself, I guess. Thanks for letting me know it isn't just Larry. 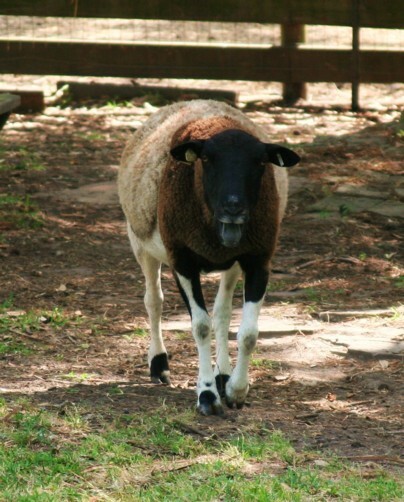 Hey Girl - I still have a hole in the drywall of my front entry way when our sheep body slammed himself on our front door, busted the door open, and walked in the house. We were letting him snack in our front yard and he decided whatever was in the house must be better than flowers and grass. I only had one sheep but good Lord he was 100% trouble. Can't imagine more than that! Ohmygosh! Let's not let he and Bertha together! They would be a pair!